Farm Subsidies Birds And Fish Would Choose : The Salt In farm communities, there are mixed feelings on conservation payments. Farmer Don Teske, of Wheaton, Kansas, says "the perception is that you're being paid to do nothing." They don't want to be park rangers, they want to farm. With the 2012 farm bill coming up fast, we're taking a closer look at what it is and how it shapes food policy and land use in an occasional series. This is part three. Capitol Hill is a scrum of lobbyists fighting over a shrinking budget these days, and farm subsidies are under attack as never before. Some of those subsidies appear likely to die. I hear cheering. Farm subsidies are wildly unpopular almost everywhere except among the people who receive them. After all, why should taxpayers pump more money into a farm economy that's already flush with profits from high grain prices? But let's talk about one kind of farm subsidy, one that environmentalists are fighting to preserve. Believe it or not, so are the people who run the water systems in American cities. This week, some of these groups wrote a letter to Congress asking lawmakers to keep funding these programs. We're taking about "conservation" subsidies. Some people call them "green payments," and they add up to about $5 billion each year. Under these programs, the government pays farmers to do things that are good for the environment, but aren't profitable. The biggest single source of green payments, the Conservation Reserve Program (which costs just under $2 billion each year), pays farmers to take cropland out of production for ten years or more and instead plant native grasses (or sometimes trees) on that land. 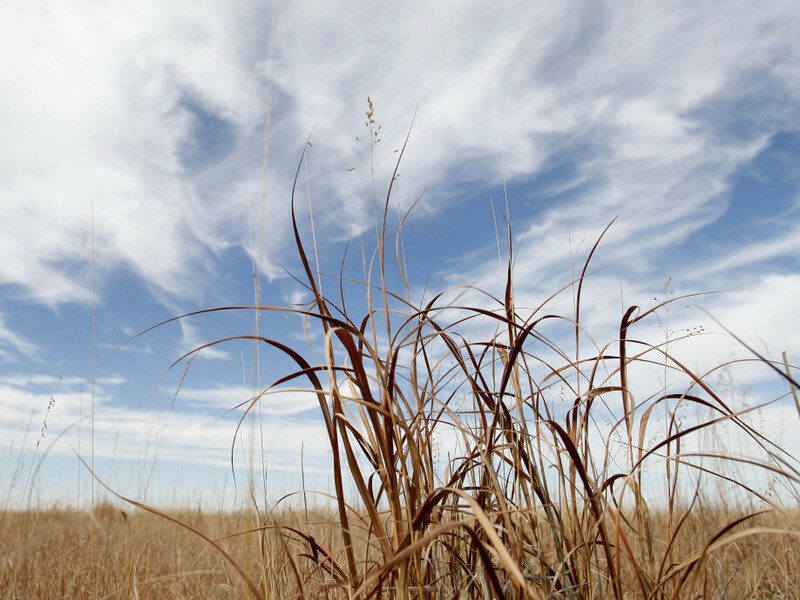 At its peak a few years ago, 36 million acres were part of the CRP. That's an area the size of the state of New York. It's been declining in recent years. Now it's more like the size of Indiana. Other programs pay farmers to turn cropland back into wetlands (good for wildlife and water quality), or to introduce farming practices that reduce soil erosion and fertilizer runoff or provide more habitat for wildlife. But why? Consider this: Conservation subsidies may be the most effective way to improve the health of the vast Mississippi watershed (and other, smaller, farming areas on both coasts.) Farmers control the vast majority of the land in such places. Their cumulative decisions can (and do) drive species into extinction by eliminating grasslands and wetlands. Almost inevitably, they pollute streams and lakes. Agriculture dominates this landscape. It's got a major impact on the environment. It's been almost impossible to rein in its environmental impact through regulation. How do you tell a farmer in Iowa that he's not allowed to grow top yields of corn on his own land? So instead of a stick, the government uses a carrot: Conservation payments. Economists at the USDA believe that the public is getting a good deal: In 2007, they calculated that the Conservation Reserve Program buys at least $1.3 billion of clear environmental benefits each year. Think cleaner water, more wildlife, and reduced soil erosion. That's not including some benefits that are more difficult to calculate, such as reducing the amount of greenhouse emissions from agriculture. Now, conservation payments have their problems. As with most government money, the biggest challenge is making sure that payments go to the right places. The farmers who own the fields that would be most valuable as wetlands or grasslands don't necessarily choose to sign up. In other cases, farmers may be getting paid for doing things that they would have done anyway. And in farm communities, there are mixed feelings on conservation payments. When I reported on the CRP back in 2005, farmer Don Teske, of Wheaton, Kansas, told me that "the perception is that you're being paid to do nothing." For many farmers, subsidies for growing food seem more acceptable than a check for leaving land idle. That may be one reason why, in the current battle over farm subsidies, environmentalists seem to be fighting harder for conservation programs than the big mainstream farm organizations, such as the American Farm Bureau. Those organizations are pushing for a bigger subsidy for crop insurance — essentially a safety net for those who want to grow more corn, soybeans, and cotton. These farmers don't want to be part-time park rangers. They want to farm. Stay tuned for more on crop insurance. For more on how the farm bill was shaped, see our previous posts on direct payments and the bill's storied history.